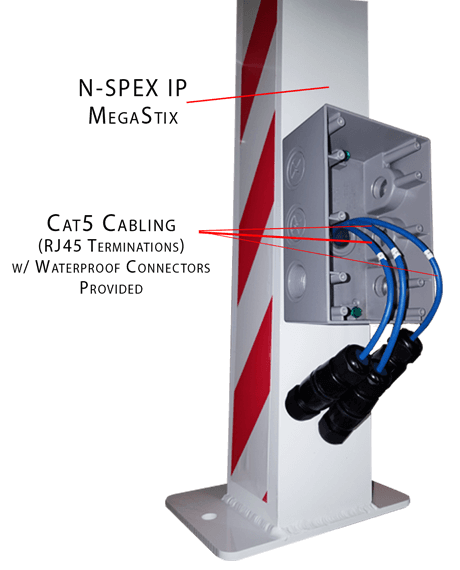 N-SPEX MEGA STIX IP to our line of N-SPEX STIX Vehicle Condition Documentation System. Each pair of MEGA STIX IP uses 6 state of the art IP 4 Megapixel cameras to record the condition of each vehicle with a total of 24 megapixel resolution per set. 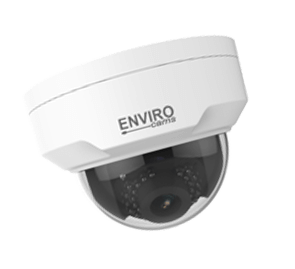 The IP Cameras transmit video over standard Cat5e/Cat6 cable to the NVR.
! 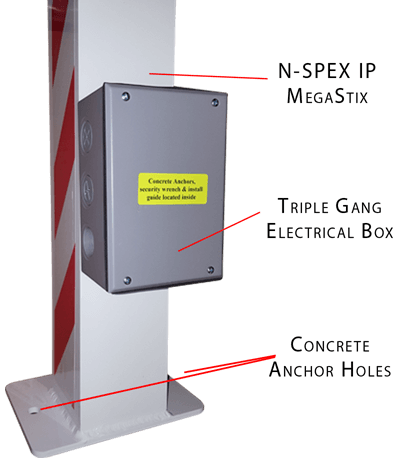 The N-SPEX MEGA STIX IP system of Entry and Exit Arches and document the condition of every vehicle that enters and or exits your property. 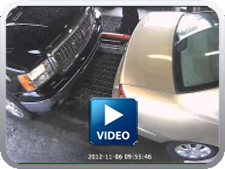 It’s easy for customers to blame your employees or equipment for damage, but most of the time the damage is either pre-existing, (but not discovered until an after-wash inspection), or the damage occurred after the vehicle left your facility. 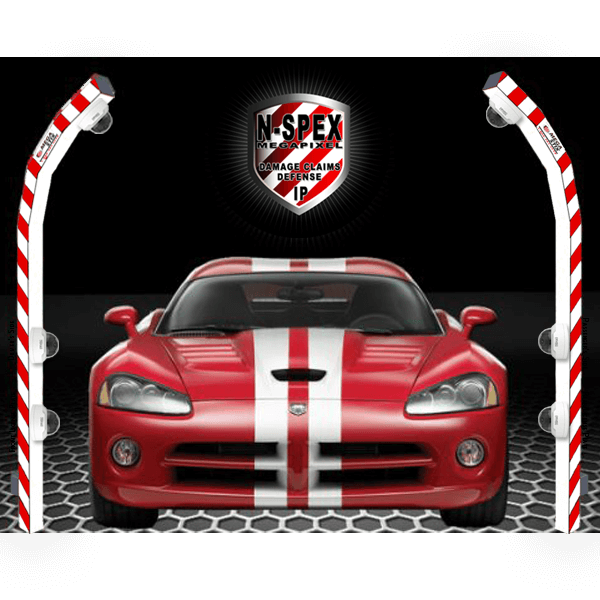 Car washes that have the N-SPEX STIX system have reported that the system has paid for itself in less than 6 months. Each pair of N-SPEX MEGA STIX IP contains a total of 6 IP High Resolution 2K 4 megapixel cameras, Pre-Assembled, Pre-Focused and Pre-Mounted.